Porsche announced their new 911 GT3 RS at the Geneva International Motor Show earlier this week, and now the company has released a new video for their latest track focused version of the 911. We previously saw a video of the new 911 GT3 RS in action and you can see the latest GT3 RS video from Porsche below. The 2015 Porsche 911 GT3 RS features a massive 500 HP and it comes with 480 Nm of torque, the power is provided by a 4.0 litre six cylinder engine. Performance on the 911 GT3 RS comes in at 0 to 62 miles per hour in just 3.3 seconds and it has a top speed of 193 miles per hour. It also comes with improved aerodynamics and is lighter than the 911 GT3. 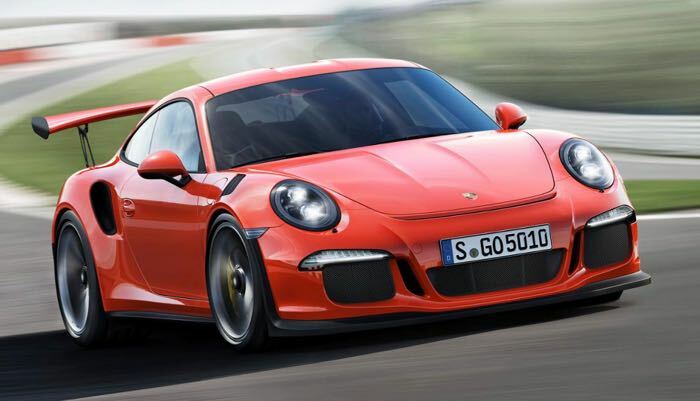 The 911 GT3 RS will be available as a special order from Porsche and prices will start at £132,000 in the UK.